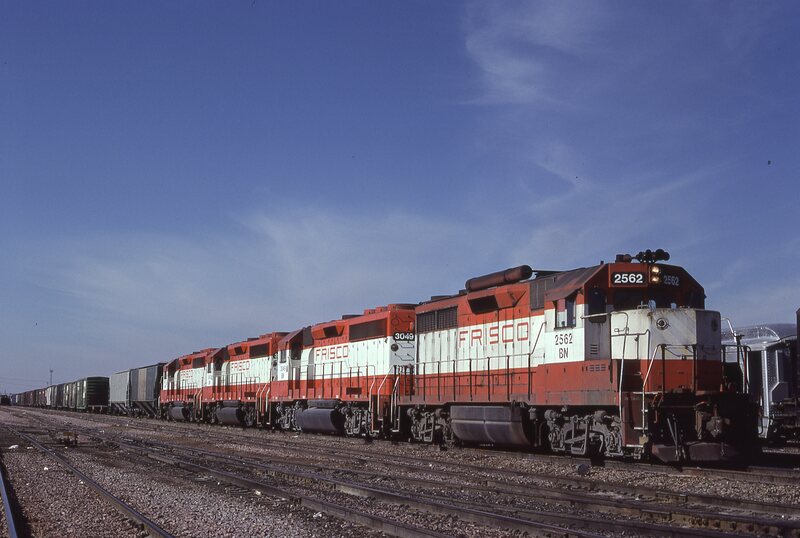 GP35 2562 (Frisco 712) and GP40-2 3049 (Frisco 759) at Lincoln, Nebraska on January 30, 1981 (James Claflin). GP40-2s 759 and 755 at St. Louis, Missouri on May 8, 1979 (James Claflin, Dept 700, EMD Division, La Grange, Illinois). 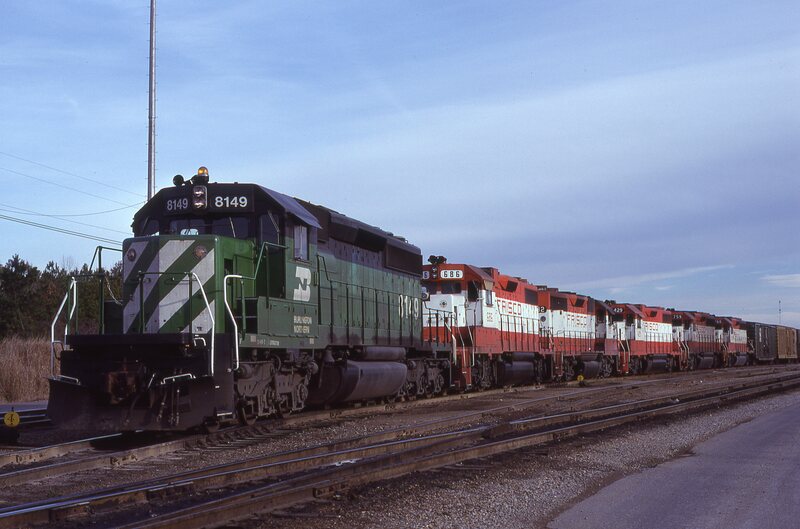 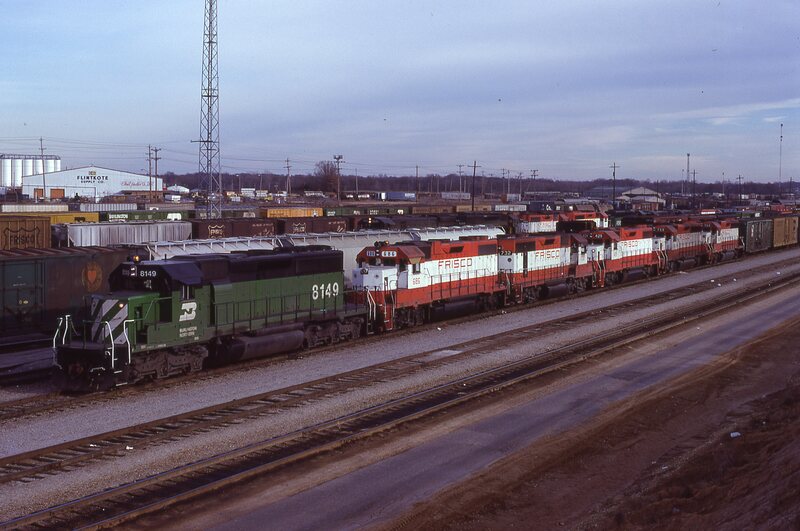 GP38-2 686, GP35 732, GP38-2 429, and GP40-2s 759 and 760 at Memphis, Tennessee in January 1981 (Lon Coone). 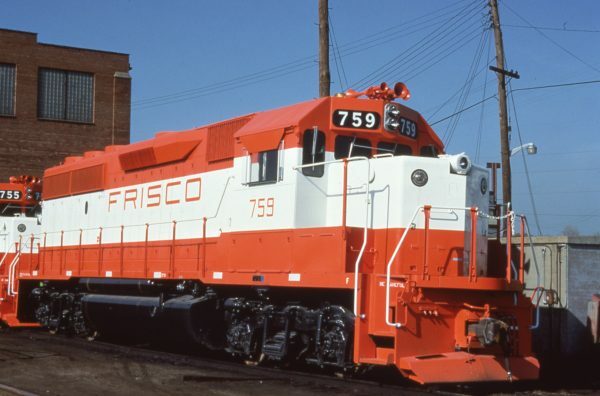 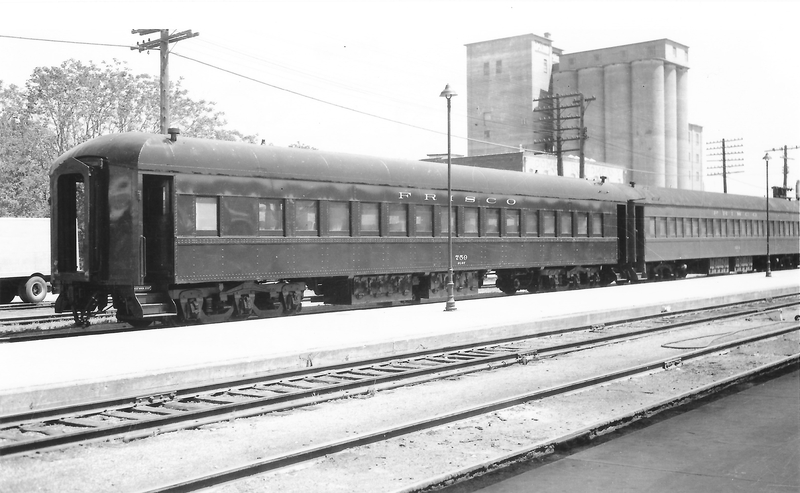 GP40-2 759 sporting fresh paint at St. Louis, Missouri on May 8, 1979.